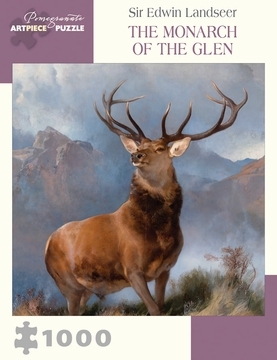 A spectacular vision of a twelve-point stag, The Monarch of the Glen is undoubtedly the most famous of Sir Edwin Landseer’s works, reproduced on everything from prints to whisky labels. The English artist visited Scotland annually and combined his hunting expeditions with sketching trips. He amassed a body of work known for its exceptional depiction of animals, often in relation to humans, making this solitary creature all the more striking. Landseer’s grand monarch now permanently stands watch at the Scottish National Gallery, thanks to a global fundraising campaign to keep this monumental work at home, in Scotland.